Secret Base (Zone) performed by Rio, Ryo, and Matsuri: This is one of my favorite J-pop songs, as it reminds me of the Alohana anime/drama, which is such a tearjerker. The fact that Rio was performing gave this song promise, although the girls collectively had a bit of trouble on the chorus. Overall I enjoyed this performance. There always seems to be a Momoclo song in the set, and Minori always seems to be involved. 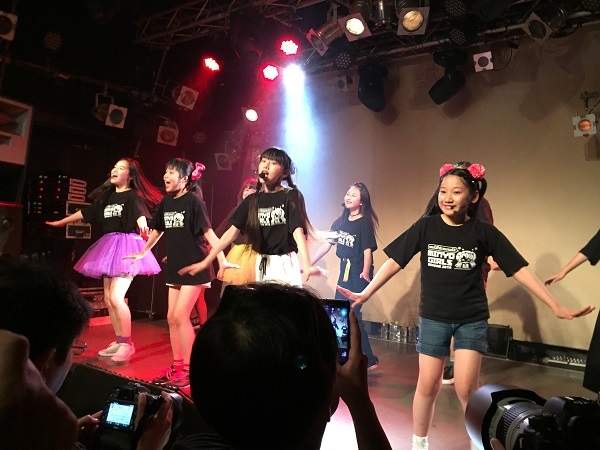 This time is was Wani to Shampoo, which was performed by Rinacchi, Minori and Ramukyun. 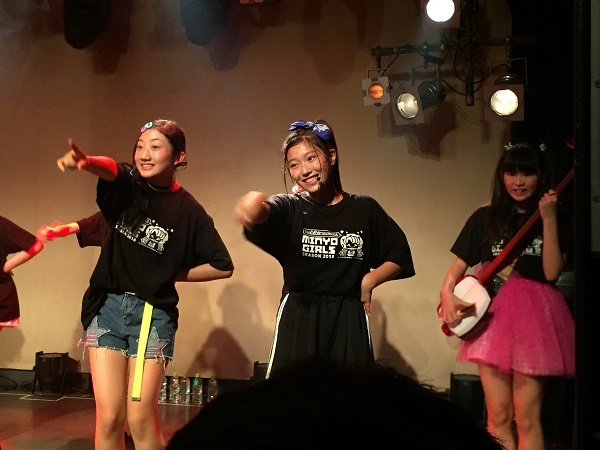 Yuua and Izumi sang an old anime song called Majokko Megu-chan, which is interesting since Yuua is one of the group’s top singers, while Izumi isn’t quite as good. That said, I think Izumin leveled-up singing along with Yuua. The final performance was Uchiage Hanabi, sung by Miyabi with Yutori on guitar. Miyabi sounded great, and Yutori did an excellent job harmonizing on the chorus. Yutori’s guitar prowess seems more skilled every time I watch her. This was the best of four performances IMO. 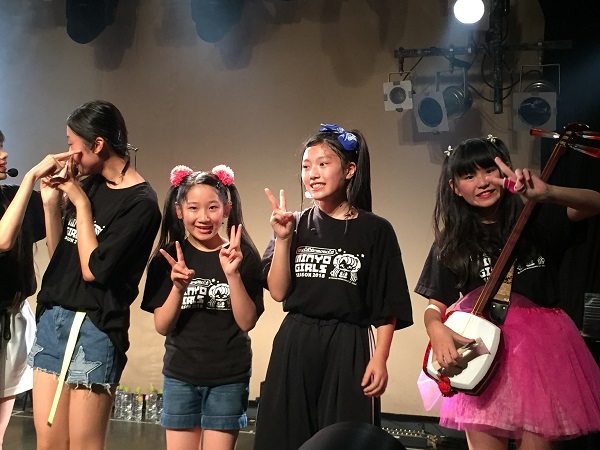 The remainder of the concert was many of their standards, including zashikiwarashi, Ureshi Namida (their standard show closer) and of course their most recent single. Since I was on the far right, I was very close to Ramukyun, and like last month, she reacted every time I focused on her. I think Ramu is so adorable, and I am still looking for another opportunity to take a 2-shot cheki with her. Every time I look at her she gives me the greatest smile in return. 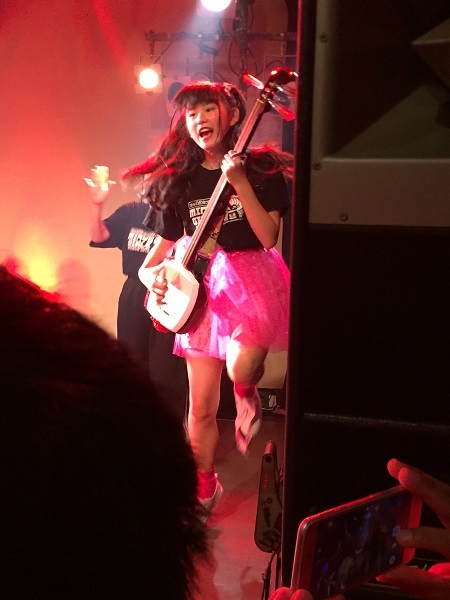 I also got a lot of reaction from Yutori since she spent a lot of the show positioned in front of me. There was a VTR presentation during the encore. 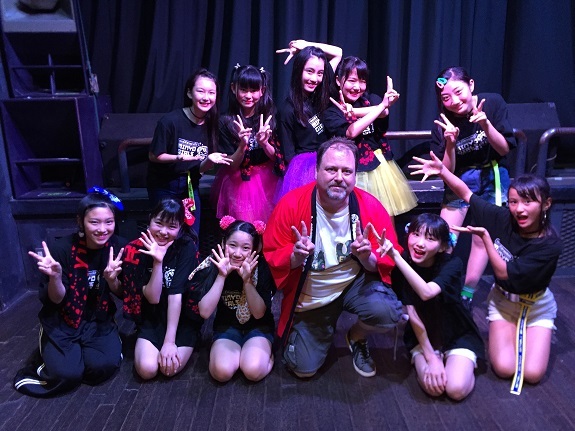 The girls expected it to be a message from Kako in Australia. However, there was also a second announcement. 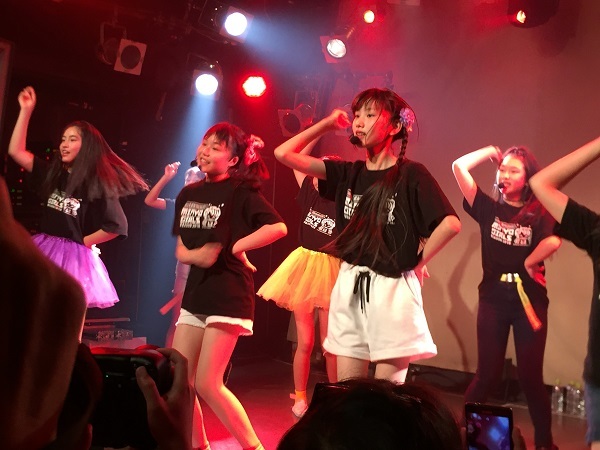 Minyo Girls will be releasing their second major single on November 28th, and the song will be called “Mirai.” Naturally the girls were very excited about that, and it means there should be lots of in-store lives in the coming months. They have their performance in Korea coming up, plus this new single. 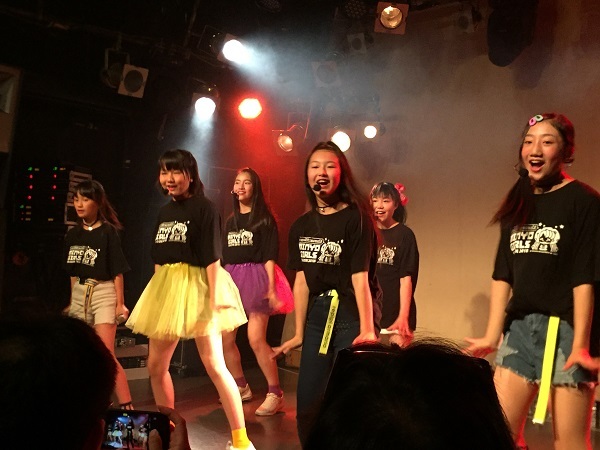 Minyo Girls have a lot going on! I decided to keep things simple. I cannot make it to their one-man live next month since it conflicts with a Wasamin event. Their October show is mid-week, and I’m not sure I will be available. I decided to purchase a ticket for their November ‘Countdown’ concert in Hamamatsucho. This would afford me either one signed cheki with one member, or a group 2-shot. I decided just to stick with the Group shot today…. As I sat down and put up the peace sign, Miyabi immediately attached her peace sign to mine. So cute. I wonder if she has noticed me paying attention to Ramukyun, since this was certainly a “This is MY fan” move. But yeah, I decided to be somewhat frugal and skip the individual chekis. After that I headed upstairs, said goodbye to Miyabi’s mom, getting a wave from a couple other parents as well…. I didn’t realize it at the time, but this live show was only the beginning of a 7+ hour marathon of idols for me. I decided to head over to Odaiba to watch a free live of a group I hadn’t seen in a while, and ended up running into another group I hadn’t seen in quite a while. I will save that story for Part 2 of this post.